Since starting FANgirl Blog, I have discussed the areas where existing fans have struggled with the offerings in the EU novels and the reasons I see for the shrinking overall fanbase from the heyday of a decade ago. 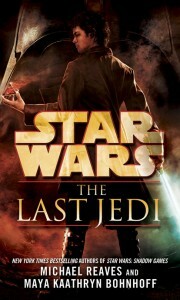 The five major issues causing declining book sales have been: the failure of the books to live up to the quality standards of the Star Wars brands, the prolonged and unrelenting dark and gritty tone of the books, a lack of equality in the portrayal of female characters, authors who are disconnected from the fans and the realities of the customer market, and ultimately a lack of faith in the creative team to deliver stories fans want to read. It bears repeating: overall, the Star Wars brand is bigger than ever, and the market demand for science fiction and fantasy stories is growing. In that environment, there is no reason that Star Wars novels should not be competitive for the #1 bestseller slot every time out. 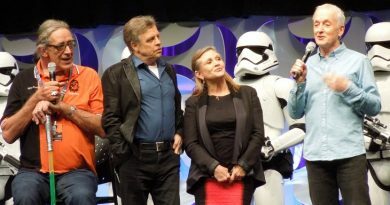 Both Frank Parisi at Del Rey and Jen Heddle at Lucasfilm have emphasized in interviews, as recently as two months ago, that they want to bring fresh perspective and new energy to the books line to help to reenergize fan interest. 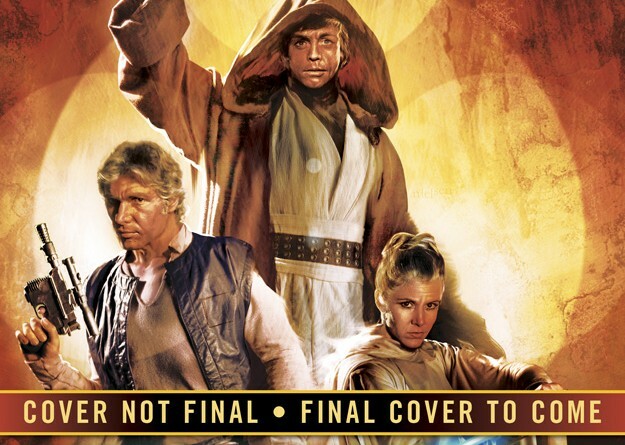 Last week at the Star Wars Expanded Universe panel at San Diego Comic-Con, Del Rey reviewed its upcoming books for the rest of this year and revealed the first three novels for 2013. So fans need to ask: Have they tackled the major obstacles to the EU novels’ success? For starters, consider the list of authors. Five of the six upcoming novels are written by Aaron Allston, Drew Karpyshyn, Tim Zahn, Michael Reaves & Maya Kaathryn Bohnhoff, and Troy Denning. 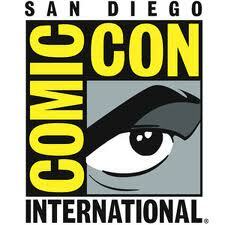 (The only other known upcoming books, not mentioned at Comic-Con, are a duology by Paul Kemp.) Three of those books – Annihilation, The Last Jedi, and Crucible – are functionally sequels to the authors’ prior EU books. Mercy Kill and Scoundrels have promise for a different spirit, at least. 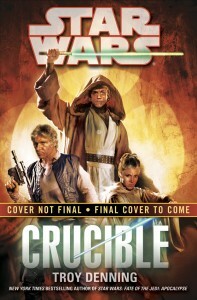 They’re written by legitimately fan-favorite authors who’ve been allowed to depart from limitations of their most recent entries – the Fate of the Jedi series and the Emperor’s Hand duology, respectively – into storylines they enthusiastically sought to write. The sole new author, Tim Lebbon, was hired at Heddle’s recommendation, and Parisi will be the editor supervising his book. That much, at least, looks like a fresh start. On the other hand, Lebbon is a self-described horror and dark fantasy writer. He has won two prestigious awards for novels in that style, and presumably Del Rey hired him to take advantage of his expertise. On its own, there’s nothing wrong with that, and it was certainly encouraging to see his excitement to write Star Wars apparent from his prompt posts on Facebook and his website, when so few of the current EU authors have even the most basic internet presence for connecting with fans or promoting their books to a new audience. The problem is that Del Rey already has plenty of authors who write dark and gritty – Denning, Karpyshyn, Kemp, and Joe Schreiber, to name a few – so adding yet another into the mix looks like a signal for more of the same. The Dawn of the Jedi comic series has sold well for Dark Horse, so it’s understandable Del Rey would want to capitalize on their momentum. Doing it with yet another dark, grim novel won’t do anything, however, to convince fans who’ve tired of the oppressive doom and gloom that the direction of the EU is changing. The fan reaction to The Last Jedi – not even styled as a Coruscant Nights novel, but as a standalone – has been primarily indifference. The Coruscant Nights trilogy was a niche series with limited appeal, and its sales reflected that. The third book, Patterns of Force, appeared in the top 35 of the New York Times paperback bestseller list for only one week, at #16. More recently, Reaves & Bohnhoff wrote Shadow Games, which had an even lower single week on the list at #25, and its fan reviews were frequently ambivalent or negative. Although the possibility of a fourth book featuring the Coruscant Nights protagonists had been known for several years, very few fans actively expressed interest in it over that time. While Reaves wrote some good female characters in the MedStar duology, Bohnhoff has stated in interviews that she shoulders a majority of the writing duties. The female protagonist in Shadow Games was remarkably shallow and unlikeable, and the story didn’t have enough appeal to create good word of mouth or generate even mediocre sales. Surely there must have been opportunities to hire authors to write novels with far more upside potential than Reaves & Bohnhoff or The Last Jedi are likely to be able to deliver. By contrast, the reaction to Crucible has been negative. This is not at all surprising to anyone who has been paying even the smallest amount of attention to the EU fandom over the last decade. Denning is one of the most polarizing figures in the entire EU. While some authors, such as Allston, Zahn, Stackpole, and Stover, constantly have large numbers of fans asking for more books from them, that is not the case with Denning. No legion of fans was storming the gates demanding another Denning book to build upon the conclusion of Fate of the Jedi. The fandom needed a break from Denning, and he probably could have benefitted from some distance from the characters and stories, as well. The inevitable reactions to the announcement ranged from disappointment and anxiety to genuine apprehension, at venues including Club Jade, TFN Lit, and Lomin Ale Cantina threads. Even at Star Wars Books on Facebook, where fans have deliberately chosen to “like” the page a good portion of the comments on the Crucible announcement were ambivalent or worse. Message boards are already abuzz with speculation: What kind of damage is Denning going to do to the characters and the franchise next? This fan reaction is eminently understandable, because it is grounded in Denning’s own track record as an EU author. Although he is undeniably a strong technical writer, the stories he has delivered have alienated far more fans than they have brought to the franchise. He has established his perspective on EU stories and characters in nine books in three series over the last ten years, in addition to interviews, podcasts, and a writing seminar offered at Celebration V. Moreover, many fans view him as the principal architect of the stories told in those series: he wrote the Dark Nest trilogy, proposed the core story pitch for Legacy of the Force, and was credited by fellow author Christie Golden as the “Yoda” of Fate of the Jedi. This level of influence might not have proven to be so troublesome, except that Denning’s philosophy on storytelling (as explained in his Celebration V writing seminar) demands that horrible physical and emotional traumas be inflicted on characters so that they will be forever changed by their passage through the story. Regardless of whether this perspective might be sound in principle, Denning has only used it destructively, tearing down characters and changing them for the worse. In none of his recent novels has he demonstrated any ability to use crises and suffering to build characters or the overall state of the EU constructively, to make stronger heroes or better situations. Ironically, the one EU book he has written in the true Star Wars space opera spirit, Tatooine Ghost with its lighter plotline and more uplifting development of the characters, he derisively called a “chick book” at a public appearance earlier this year, further alienating female fans. Although his most recent series-ending novel, Apocalypse, is his best work in nearly a decade, its happy ending was a consolation prize, not storytelling catharsis. Denning has defined his authorial brand with his work in Star Wars and Dungeons & Dragons. One book cannot erase the impact on the wary EU fandom of all that he has done – to the characters, and to their fans – over that time. Fans who became disenfranchised with the EU during the Denning era will not be easily convinced to return to the franchise. It is not without good reason, then, that fans reacted on Twitter, Facebook, and message boards to the news of Crucible with dread rather than enthusiasm. Ultimately, Denning has consistently written the stories he wanted to tell, rather than the kinds of stories that fans want to read. With Crucible, he brings all of that baggage to an EU novel – especially in light of the Random House catalogue marketing copy for the book. 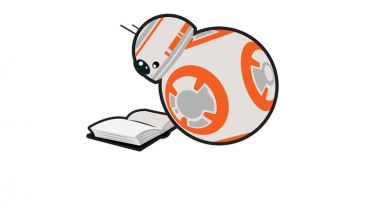 NEW YORK TIMES BESTSELLING STAR WARS AUTHOR! Troy Denning, just having completed the New York Times bestselling Star Wars: Fate of the Jedi series, is a fan favorite. Admittedly the catalogue’s purpose is to convince booksellers to order copies for their shelves, but in the internet age fans see it too, and patently absurd statements like “Denning… is a fan favorite” only further erode fans’ trust in any other assurances offered up about the book. Especially when the other blurb for the book reinforces that Denning once again aspires to write another story in which the Big Three face an even more monstrous threat in a showdown that will change them forever. Fans rightfully wonder why doing that to the characters three times over twenty-one books was not sufficient. It’s not just the fact that Denning is writing a book; it is where and when that, rightfully, makes a fanbase asking for change anxious. As a whole, then, the Comic-Con announcements provide almost no reassurance at all in relation to the biggest obstacles holding back EU book sales. Lebbon is an unknown, Reaves & Bohnhoff haven’t delivered a success that Star Wars fans felt compelled to put on their shelves, and Denning’s vision of the EU has been part and parcel of the decade’s decline. Only the marketing material and the panel’s assurances for Crucible suggests a change from the pervasive dark, gritty tone. 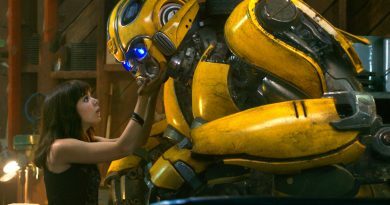 None of the authors allays fan concerns about female characters. Only Lebbon has proactively interacted with fans through social media since the announcement, and he has cross-promotion potential from the Dark Horse side. Even if the returning authors step up their game and deliver stories worthy of Star Wars, though, these books have a huge uphill climb. Successful book sales are driven by word of mouth, and almost a year’s worth of negative buzz from nervous fans in a fandom that is steeped in skepticism isn’t a solid starting point. In other entertainment industries, like movies and television, executives don’t hesitate to make major changes when the product isn’t meeting expectations. Directors get fired, showrunners are replaced, script doctors are brought in to rework the material, and so on. When fans look at Del Rey’s announcements from Comic-Con and see basically a lot more of the same, there are a limited number of inferences that fans draw. Maybe the Powers That Be are trying to change, but simply don’t understand the kinds of changes that are needed and the sorts of signals that are required to overcome fan doubts. Alternatively, maybe they aren’t actually trying to change at all. Possibly they’re content with the past few years’ sales figures and the stories that have been told and don’t see a need for improvement. Or perhaps they’re simply charting a different path upward, one built upon an entirely different, newly minted fanbase in which existing and lapsed fans no longer matter. It’s too soon to tell, I think. But one thing is certain: Perception is reality to fans, especially in an economy that is exceptionally tight. Well said. If they are trying to chart a new course I’d love to know where they think they are going because it sure isn’t following the rest of the market (which as you pointed out is expanding and doing extremely well). Oh well, it’s no secret my husband I are ‘lapsed’ fans. I just re-purchased most of Zahn and Allson’s books for my Kindle since my hardcopies are in storage, they are the first Star Wars books I’ve bought in years and I don’t see that changing anytime soon. Maybe their new course in down the line and this stuff was already in motion when they made those indications?